ECONOMIC growth is projected to improve to 3.2 per cent in 2019 with mining and quarrying expected to contribute to it, according to the flagship report launched by the Asian Development Bank last week. The Asian Development Outlook 2019 says a new iron sand mine slated to become operational this year has invested in dredgers and port facilities toward extracting 750,000 tonnes of magnetite concentrate annually to be sold to steel mills in the People’s Republic of China. According to the ADO all sectors are expected to grow, with tourism in the lead, but construction will likely contribute substantially, considering high bank lending for real estate and the number of projects in progress. It said tourism would continue to drive growth higher to 3.5 per cent in 2020, with other contributors also strong. The report highlighted that growth forecasts assume that public resources will go into productive investments in infrastructure, but growth is unlikely to reach the trend that existed before Cyclone Winston in 2016 because the government plans to ensure that public debt does not exceed the government-set ceiling equal to 50.0 per cent of gross domestic product. 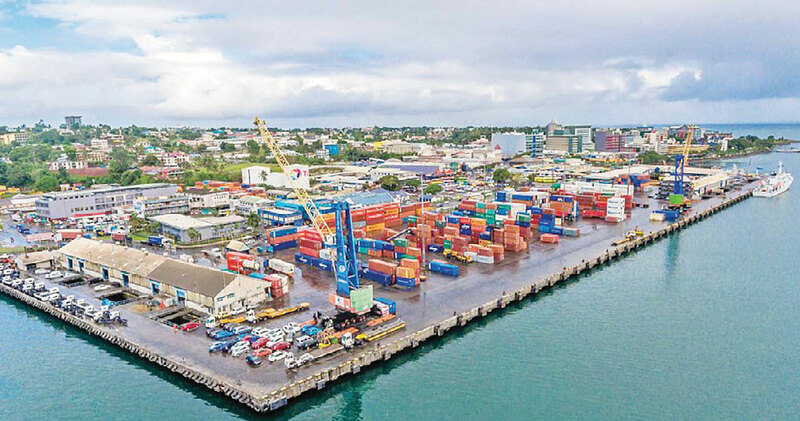 Meanwhile the report said planned investments in transportation and in water supply and sanitation in the greater Suva area were expected to contribute to growth in construction over the medium term. Agriculture and forestry are important suppliers of exports with significant domestic value added and assuming there are no weather shocks, the sectors are expected to continue growing and contribute to economic growth. It was highlighted in the report that Fiji's largest sawmill had undertaken significant upgrades that promised to boost timber and woodchip production. Public investments in flood control structures in urban areas of Nadi are expected to boost confidence in the tourism industry and encourage more investment. “Government policies supporting the sugar industry and mill improvements should encourage sugar output,” it said. With tourism on track for another record year and likely to benefit from reduced travel costs as fuel prices fall, the report highlighted that expanded private investment in tourism would contribute to continued growth in construction. The ADB also forecasts inward remittances to continue growing in 2019 on increased seasonal employment in Australia and New Zealand. Inflation is expected to ease to 3.5 per cent in 2019 and 3.0 per cent in 2020 as international prices remain low, but domestic tax measures and strengthening demand will prevent further deceleration. Exports of goods are expected to grow as shipments of magnetite concentrate commence, and as the sugar and timber industries continue to recover. According to the report this, together with higher earnings from tourism, is expected to result in a narrowing of the current account deficit by 0.5 percentage points in 2019 and again in 2020.